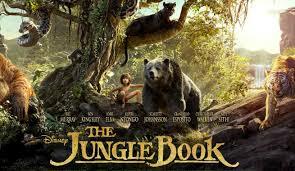 Jungle Book - The Review | ♡ Memorable life, take a picture! Mr H saw the advertisement few days before this movie was released. He immediately said that he wants to watch this movie. When he was a kid, he had enjoyed the story book. The very first book that captivates him, until today. Me, on the other hand, was just trying to be supportive. I mean, what's there to watch, the animals? Oh you can just youtube them hahaha. He even suggested that we watched it in IMAX cinema, Sunway Pyramid. That would cost a lot. He planned to watch Batman v Superman in IMAX but luckily we could not get a perfect slot, so we watched it in the ordinary cinema. And there were no regrets, hahaha. So this time around, Jungle Book in IMAX! 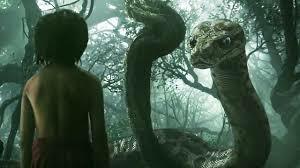 So Mowgli was found by Bagheera, the panther, while he was wandering at night, alone in the forest. I think he was 3 years old at that time. Actually, his father was killed by a tiger, Shere Khan. But his father did retaliate and attacked Shere Khan with fire so Shere Khan left the scene in a hurry and he did not realize that there was another human in the cave. Bagheera handed over Mowgli to a pack of wolves. His surrogate mother would be Raksha. Mowgli grew up to be a fine young boy. However, Shere Khan dislike him very much and was determined to pay back for whatever Mowgli's father had done to him, his face, to be exact. He hunted him down and when Bagheera and the pack of wolves decided that it would be better for Mowgli to be returned to live with humans, Shere Khan killed Akela, the wolves' leader. Mowgli then went on a journey to live with humans, accompanied by Bagheera but they were attacked by Shere Khan on the way so he was left alone. He met Kaa, the snake. I seriously hate this scene! And was saved by Baloo the bear, just in time! Baloo was adorable!!! Let me tell the truth, it was a busy and tiring Friday, we had two meetings, so I planned to doze off during the movie. Like I had said before, a movie full of animals! Please! But then, my plan did not work out because the movie was very interesting that I did not want to miss any scene. What more with the 3D glasses for IMAX. But I did take off the glasses during the Kaa scene. I really really hate Kaa. She made me shivers, hehehe.